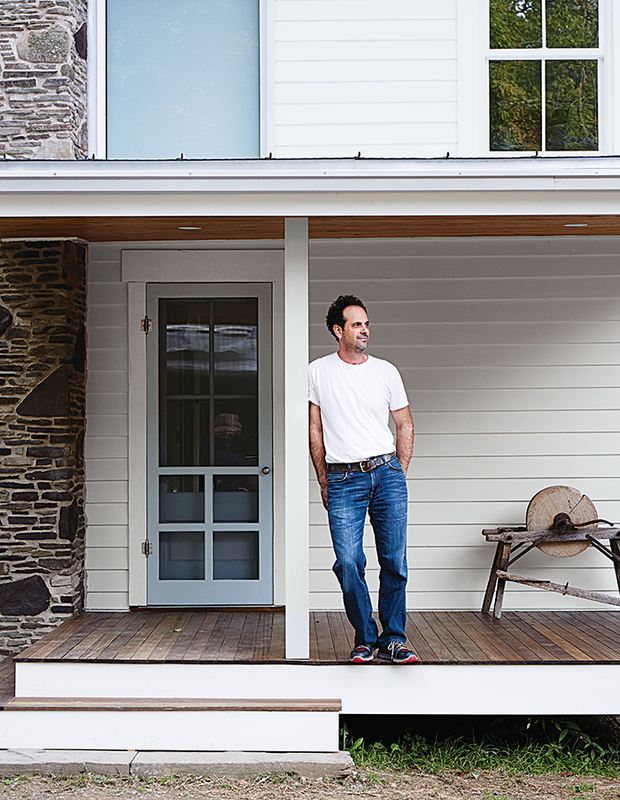 Self-taught designer Tom Givone updated a 19th-century farmhouse with unexpected details and salvaged materials with a torqued-volume addition to an 1850s family homestead in Pennsylvania. "The popular magazines were all saying that one couldn’t build a summer home for less than $25,000,” Jens Risom recalls. “So I contacted Life magazine and said, ‘well, I have one.’” The acclaimed designer's Block Island retreat is an example of prefab construction customized to the owner's exacting specifications. Finding inspiration in the work of Tadao Ando, designers Christopher Robertson and Vivi Nguyen-Robertson designed the concrete house of their dreams in Houston. After finishing architecture school, Brian Buzarde and his wife, Joni, built a 236-square-foot trailer for just $50,000 that will take them wherever their careers may go. Those who know George Nakashima's wood furniture might be surprised by the abudance of tile in the bathroom of the late designer's Bucks County, Pennyslvania, home. “A Japanese garden often has a central pond derived from the character for ‘heart’ or ‘spirit,’ and this may be an abstraction of that character,” Nakashima's daughter, Mira, says of the tub’s sculptural form.